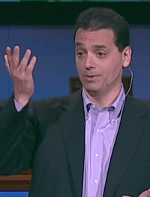 This article reviews a thought-provoking speech by Dan Pink about the surprising science of motivation, which was delivered at TED in 2009. The strength of this speech isn’t surprising at all, given Pink’s former role as chief speechwriter for Al Gore. This is the latest in a series of speech critiques here on Six Minutes.